Carthage is also accessible from Tunis. Hotels usually include a few meals with your stay, while coffee shops are plentiful, and restaurants often serve the traditional tagine, a dish cooked in a clay pot with a cone-shaped lid. Italian, French and Arabic influences all combine in a wonderful mix as easy to lose yourself in as the warrens of the medina. Tunisia is a beautiful country the weather is amazing at all times of the year people are so nice and friendly and it's just beautiful ! Tunisia was interesting. Tunis the capital reminded me a little of Morocco and a little of Egypt. 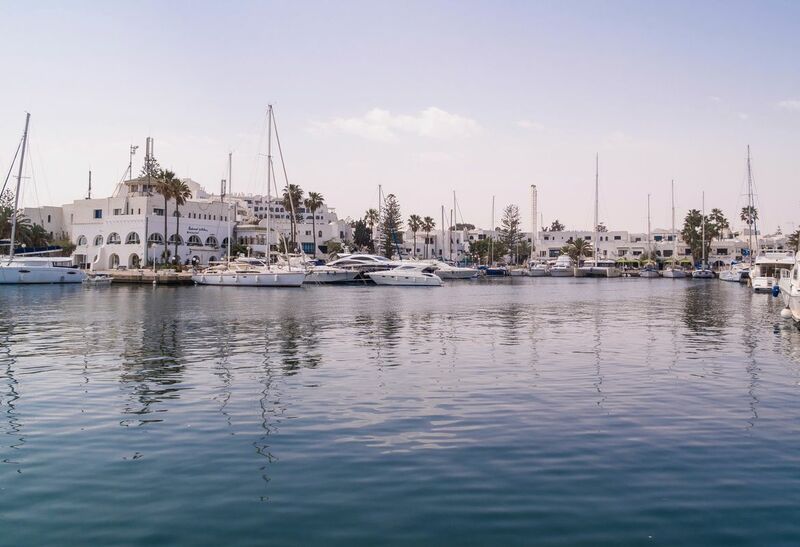 A few interesting sites to see in Tunis like the historical site of Carthage, The Medina of Tunis and the blue city called Sidi Bou Said. I found Tunis unexpectedly pleasant and impressive. I had assumed the city would be dirty chaos but found it quite charming. Sidi Bou Said is a more pleasant base for exploring but there are some lovely boutique hotels here hidden within the old medina. Visit the mosque and the massive souq. A nice place to explore and really soak up the atmosphere. Something about the blue doors in Tunisia that really captivated me. I was told the doors were blue to keep the places cool and protect against Mosquitos. However, walking the streets of Tunis, one exotic blue door after the next, made me stir of feelings of intrigue, curiosity and the desire to understand the Tunisian culture better. There is so much to do this day, that I am not quite certain I understand about Tunisia... So many juxtapositions, beautiful symbolisms, warm people, vast landscapes... However, certain societal behaviors left me uncomfortable and desirous to learn more. lovely place and on the up a little to much pestering from shop owners for me but you do have the gov shops our hotel in skanes the serail was great the food was'nt to my taste but i did find something . Very cheap holiday. Your get great value of your money considering you are very far away. The hotels are huge and well catered for. There are all ways taxis around the place. There are lots of markets where people will try and sell you stuff that are maximum 20 mins away. If you are blond or fair haired they will take a special liking to you.